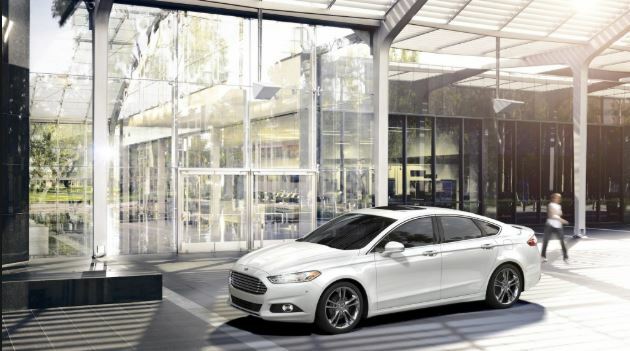 The new Ford Fusion 2016 is just the case when comfort and stylish design are combined into a single whole. The popular mid-size sedan is very convenient, it has a lot of free space, it is multifunctional and it remains one of the most attractive in its class. Appearance attracts attention due to the stylishly decorated aggressive body. Back in 2013, the sedan was recognized as the “Best Car” in its class, and it must be admitted that this year it is just as good. 4-cylinder engine with a capacity of 2.5 liters and 178 hp not as aggressive as the look of the updated Ford Fusion 2016, but it copes well with its responsibilities when it was paired with a 6-speed automatic. On the other hand, there is another complete set available with EcoBoost “turbo four” with a volume of 2.0 liters and a power of 240 hp, which will not make you miss V6. Between these engines in the list there is another option with the “four” turbo-unit, but this time the volume will be 1.5 liters. A pretty good option if you want to save more fuel. In addition to all this, the American company decided to release a hybrid version of the Ford Fusion 2016 Hybrid, which will offer incredible savings without losing performance indicators. No matter what equipment you choose, all cars have a truly high-quality steering with a well-established steering system. Ford Fusion 2016 leaves the impression of corporate performance with good maneuverability, smooth ride and, at the same time, aggressive manners. 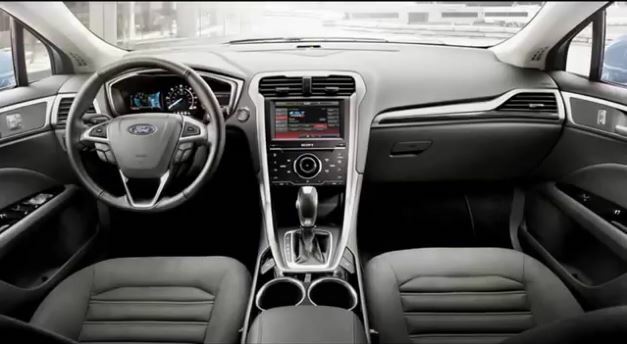 Ford Fusion 2016 has a great interior in which you will experience a high level of quality. We can say that “quality” is all about this sedan. Pleasant in appearance and touch materials are present everywhere, as well as excellent noise and vibration insulation. The body has become longer, even, as the wheelbase, which increased the legroom for all people inside the cabin. The front seats have become thinner, which also expands the seat. Even in the basic configuration with manual seat adjustment, they are very comfortable and easily customizable. Without a panoramic sunroof there is more than enough space for a head, and there will also be plenty of space for your belongings inside the cabin. Ford Fusion is very good, but not so attractive in terms of security. In the presence of a good set of standard protection systems and functions, including the new seat belts for rear passengers, which began to be introduced into some of the crossovers of the American company. For the new Ford Fusion 2016, the S Appearance Package has become available, which will allow access to 18-inch tinted wheels, front fog lamps and a rear spoiler. Additionally, you can purchase a package of improvements Cold Weather, which includes a remote start, heated seats and special floor mats for SE. The current generation of Ford Fusion sedan 2016 is not particularly surprised by its new design, which we can observe for about four years. Nevertheless, the car remains one of the most stylish in the class, both in terms of interior and exterior. Smooth shape will remind an expensive sports car, and the updated grille, similar to the Aston Martin, only reinforces this impression. The design of the upper part of the sedan is also partially borrowed from the German Audi A7. However, the side view will not leave any doubt that this is an old classic Ford. The updated Ford Fusion 2016 has excellent proportions with a low fit and a great view from any angle. As for the interior, the design of the new model Ford Fusion 2016 has not undergone significant changes, adding only a number of functional features. All companies are trying to keep up with the times and equip their cars with touch screens and various wireless communication systems. But in this sedan you will see the Sync screen with a button control panel. Pretty practical and familiar to conservative people. The interior is emphasized by the central control panel due to its seemingly simple rounded shape and metal inserts. The same design could be seen in some Volvo models, along with a central glove compartment located directly below the climate control buttons. Even in the budget models there is a small LCD screen for audio and SYNC control systems. But the plastic inserts in the doors and dashboard are quite impractical, as they quickly scratch and will not look so good in perspective. The updated Ford Fusion 2016 is very good, but not perfect, in terms of security. It is equipped with almost all available standard features and systems to ensure the safest possible ride. Overall, the Ford Fusion 2016 sedan received a 5-star rating in NHTSA tests, and IIHS awarded the car a “good” rating. For top-end equipment of Titanium model are available systems for tracking lanes and various assistants that allow the car to automatically “correct” the course of motion, if the driver is distracted, with the help of a front-facing camera review. In addition, there is an adaptive cruise control with a function to prevent frontal collisions, an assistant traffic, monitoring blind spots, an active “parking attendant”. There is no emergency braking system, which can boast of competitors. 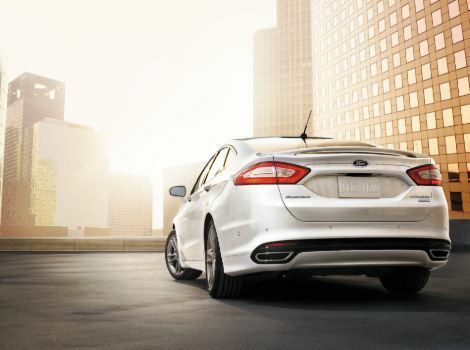 In terms of efficiency, the updated Ford Fusion 2016 outperforms other medium sized sedans. Partially, this is the merit of the new line of engines, in which you will not find the good old V6. But now you can order a hybrid version, if the fuel consumption indicators for you are in priority. Changes In Ford Fusion 2018, Are They So Noticeable? The hybrid model showed consumption in the combined mode of 5.6 l 100km (5.35l 100km in the city and 5.74l 100km on the highway), according to the latest statistics from the EPA. Power reserve exclusively on the electric motor will be only 32 km. For a complete set with a 2.5-liter 4-cylinder engine in the base S and SE, the indicators are set at 10.6 l 100 km in the city, 6.5 l 100 km on the highway and 9.8 l 100 km in the combined mode. The 2.0-liter “turbucket” with direct injection comes as standard equipment for top-end equipment. Quite productive option, but with high fuel consumption: 10.6 l 100 km in the city, 7.1 l 100 km on the highway and 9 l 100 km in the combined mode (front-wheel drive system); 10.6 l 100 km in the city, 7.5 l 100 km on the highway and 9.4 l 100 km in the combined mode (all-wheel drive system). Prices for the Ford Fusion 2016 can reach impressive 40,000 $ especially if you include a panoramic sunroof, navigation, improved wheels and new security systems. Nevertheless, you can keep within 30,000, while remaining with one of the most well-designed sedans. « You Also Dream About Ford Mustang 2018? And We Know Why….